Don't settle for poorly made drinks! Now you can blend your favorite cocktail or mixed drink with a fun to watch mini cyclone. 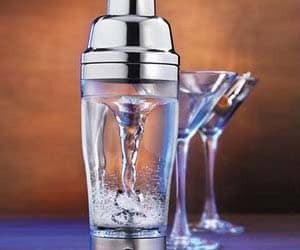 The see through cyclone cocktail mixer is an easy to use drink shaker that use AAA batteries.